August is an incredible month for poetry in this this fine city of ours, and QLD Poetry Festival: spoken in one strange word is the pinnacle! This year, QPF are delivering three workshops to help you read, write and fine tune your poems… and the best thing is, one of them is online, so you can be anywhere in the world and still tap into the experience. Booking early is totally recommended! This workshop offers that opportunity, and invites you to take a draft or drafts and develop it/them over a four-week online course, with feedback designed to challenge and encourage you as you rewrite a poem or suite and take it further through revision and reappraisal. Each participant will receive feedback from the tutor, poet and editor Felicity Plunkett, on one poem per week, as well as links, suggestions and discussion and feedback from other members of the group. This is an interactive workshop designed to help you develop and refine your poetic practice. 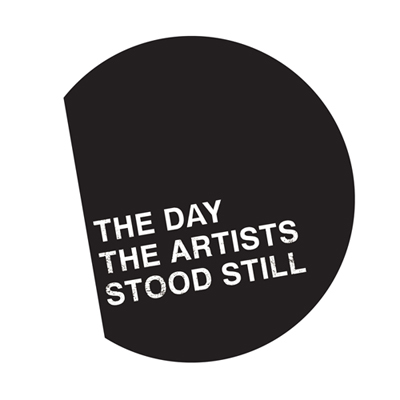 To book: email Sarah Gory – sarah.qldpoetry@gmail.com – for a registration form. Once your booking and payment is confirmed, you will be sent instructions on how to login to the course and use the online platform Edmodo. A single poem can be at once simple and complex, visceral and cerebral. 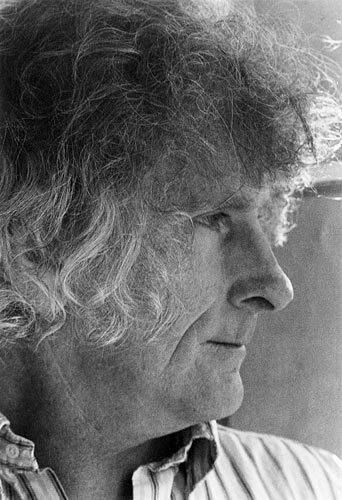 Join renowned poet of over 20 collections, Robert Adamson, for this workshop that explores the art of reading a poem, from Dorothy Hewett to Robert Creeley and everything in between. (Re)read great poems through a new lens, examining poetic forms and technique, and discovering new meanings. Learn why understanding great poetry can make your own poems sing. The workshop will also discuss the elusive poetry market for Australian poets looking to be published here and overseas. To book please contact the Queensland Poetry Festival on 07 3842 9950 or by email at qldpoetry@gmail.com. Places are strictly limited, so get in early. Poetry has a long tradition of sparking our collective conscience. Poetry, like politics, can speak truths that lie beneath the surface. Join African American jazz poet and prolific author and performer L.E. 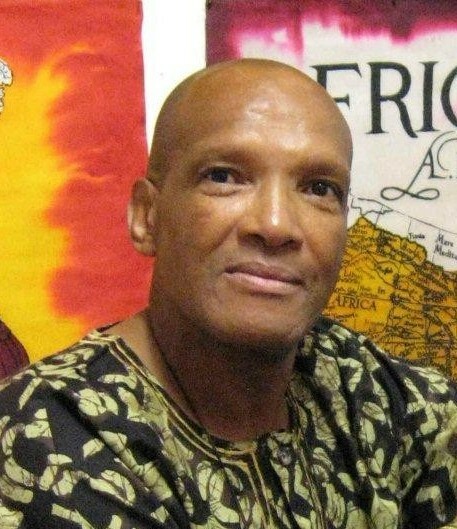 Scott and explore how your poetry can be both political and lyric, in this three-hour workshop covering performance poetry, political poetry, and the vitality of spoken word in the struggles of Black people and people of Colour around the world. Participants are encouraged to bring along some of their own work to use in particular exercises during this “hands-on” workshop. To book please contact the Queensland Poetry Festival on 07 3842 9950 or by email at qldpoetry@gmail.com. Places are strictly limited, so get in early! 2011 has but a few hours left in its sail…. it has been the most amazing year of my life – the incredible response to the Ocean Hearted Flood Relief Fundraiser, winning The Johnno, turning 40, the birth of T.H.E. Nunn to name a few milestones – and now I am looking forward to diving headlong into 2012. But before the new year kisses us sweetly, let’s take a look at one last book from this year. And in doing so, I will leave the last word to Zenobia Frost. 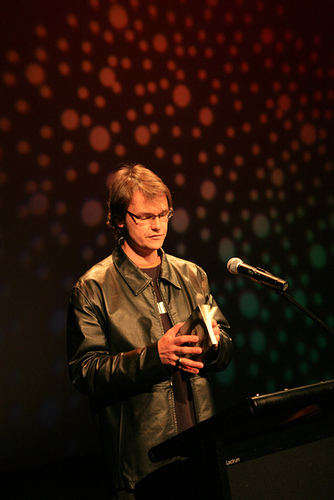 Writing in The New Australian Poetry in 1979, Tranter described the “Generation of ’68” — a wave of “mainly young” Australian writers experimenting with and against conventional modes of poetics. What Tranter called his “half-serious theory” informed the selection process for this new collection, edited by Queensland poet Felicity Plunkett, which celebrates the diverse, vital voices of contemporary Australian poetry. 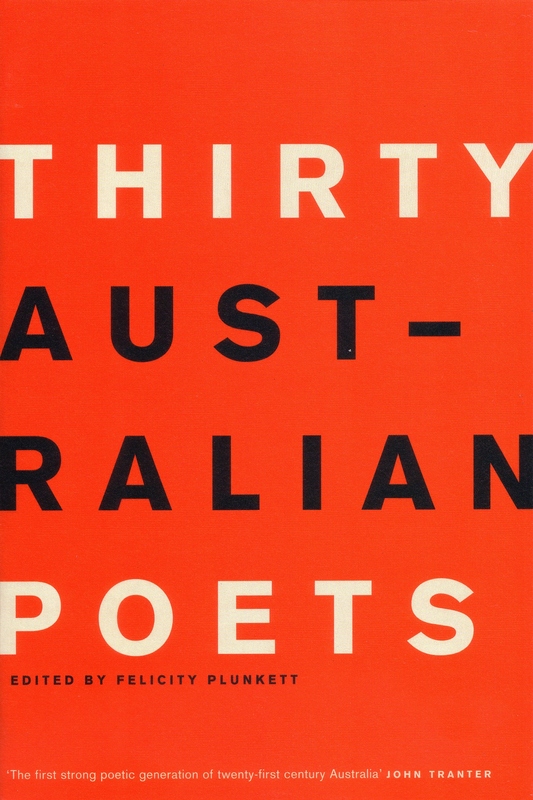 On a more personal level, Thirty Australian Poets signalled the first time in a year or more that I’d devoured a whole poetry collection in one sitting. I felt privileged to discover poets I’d never read before — Emily Ballou (whose The Plums I return to again and again), Kate Middleton, and Simon West, for instance — alongside familiar voices. I particularly enjoyed that, rather than eschewing traditional modes (closed forms, uniform metre) entirely, these writers more often metamorphosed them, releasing their words from the shackles of strict formalism. If this collection represents a new generation of Australian poets, they are weaving and re-weaving a tapestry of poetics as complex, strong, and infinitely re-formable as a spider’s web. Zenobia Frost is a Brisbane-based writer and critic whose poetry has appeared in Cordite, Voiceworks, Overland, and Small Packages. Her chapbooks include The Voyage (SweetWater Press 2009) and Petrichor (2011), a self-published collaboration with Jeremy Thompson. She recently placed 3rd in the 2011 John Marsden Awards for Young Writers. She is otherwise occupied with making the perfect cup of tea. The Weekend Australian ran a review of Paul Muldoon’s eleventh poetry collection, Maggot (a book which has been making many ‘best of the year lists’). MAGGOTS burgeon where form and flesh disintegrate. Because they only consume necrotic tissue, maggots are sometimes introduced into wounds to initiate the healing process. 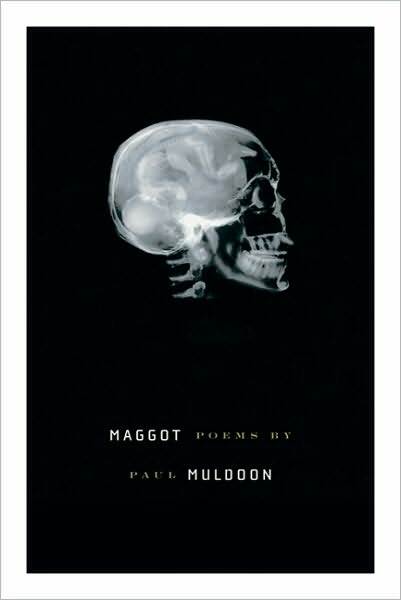 Muldoon dazzlingly replaces this with another question: what don’t maggots have to do with poetry? In my travels I came across a second review of Maggot by Todd Swift. This is a review in the shape of a poem; a whirling response, triggered by the reading of Muldoon’s collection. You couldn’t find two more different ways of coming to the book, but again, if this is what it stirs inside of Swift, then I wouldn’t mind a dose of the same. I would love to hear your thoughts on these two ways of approaching Maggot. I am sure many would argue that Swift’s is not a review at all… but, in short, I think I need to make room for a copy of Maggot on my bookshelves. It was fitting (well for this Lost Shark anyway), that a session featuring five fine poets brought BWF 2009 to a close. The featured poets were Emily Ballou, Bronwyn Lea, Felicity Plunkett, Nathan Shepherdson & Lionel Fogarty. These poets had the last word, and for those of you who couldn’t make it, here are some of their words. Taken from his new collection, Apples With Human Skin (UQP). These poems are taken from her debut collection, Flight Animals (UQP). Her most recent collection, The Other Way Out was recently published by Giramondo. Felicity’s collection Vanishing Point (UQP) won the 2008 Thomas Shapcott Poetry Prize. Taken from Lionel’s collection Minyung Woolah Binnung. My eyes are watering, my calves burning slightly, and my head is swimming with words. The Million Bright Things who hit the QPF stage yesterday lit up the Judith Wright Centre with the endless possibility of poetry. Last night for me was a landmark event, with Festival Director extraordinairre, Julie Beveridge, putting together an event which featured every poet on the programme. Forty artists, one by one had their moment in the spotlight. It was high octane poetry, each artist leaving nothing behind as they left the mic and the audience wanting more. And as Neil Murray closed the show, there was that feeling that peoples lives had been changed… the energy bristling, the smiles splittingly wide. If you are anywhere near Brisbane today, do yourself a favour and let the bright lights of QPF 2009 illuminate you. Kicking off today with the launch of Felicity Plunkett’s debut collection, Vanishing Point and the session, Choreography of Chance featuring Rhys Rodgers, Santo Cazzati and Maurice McNamara, you just know, life will be better for it! Today’s programme is online here.